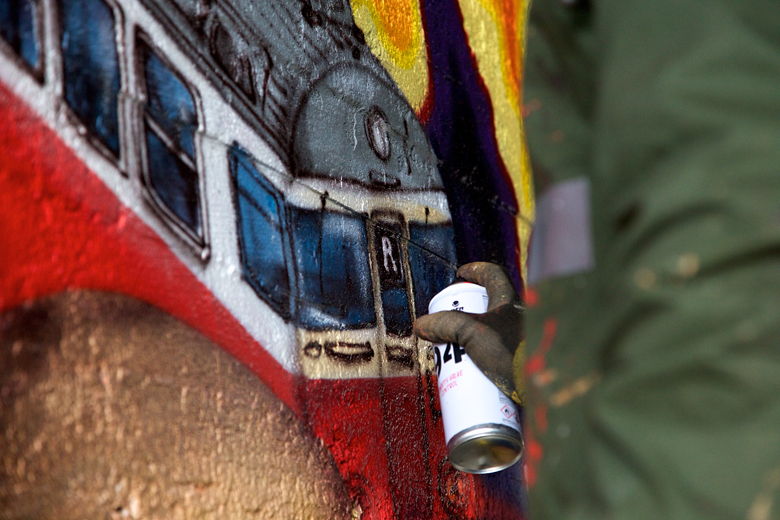 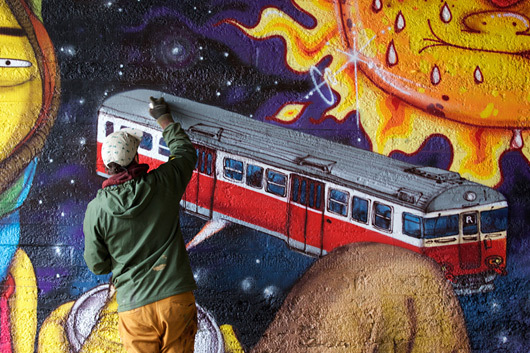 When graffiti masters come together, anything can happen, and even more so if the city council provides a large wall for the cause. 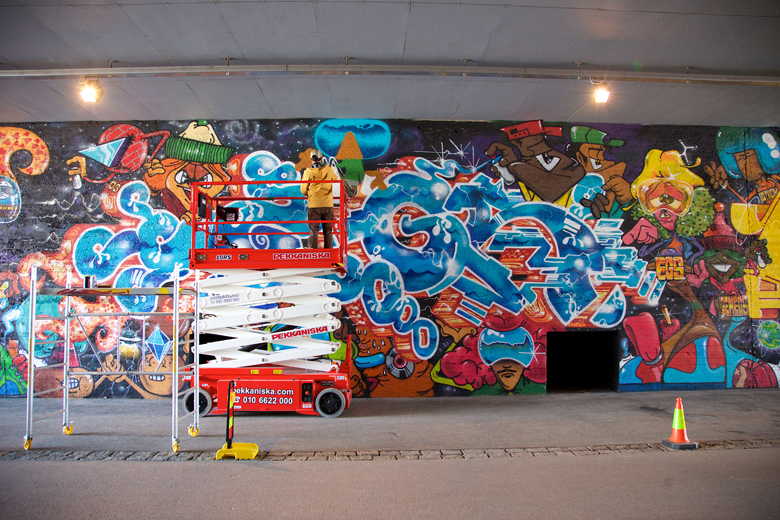 That’s what happened with Os Gemeos on their Nordic journey when they were hosted by none other than, Egs. 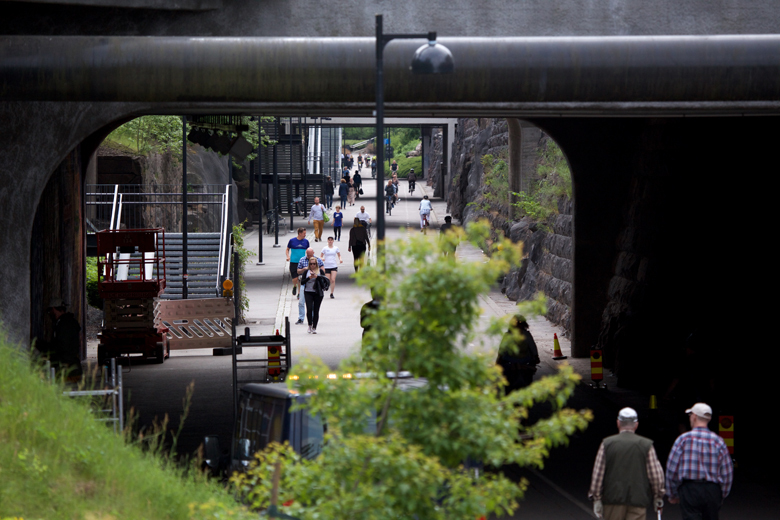 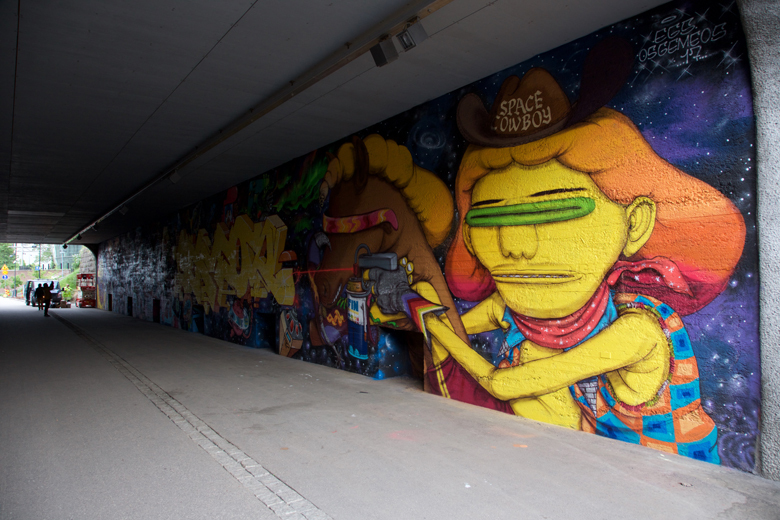 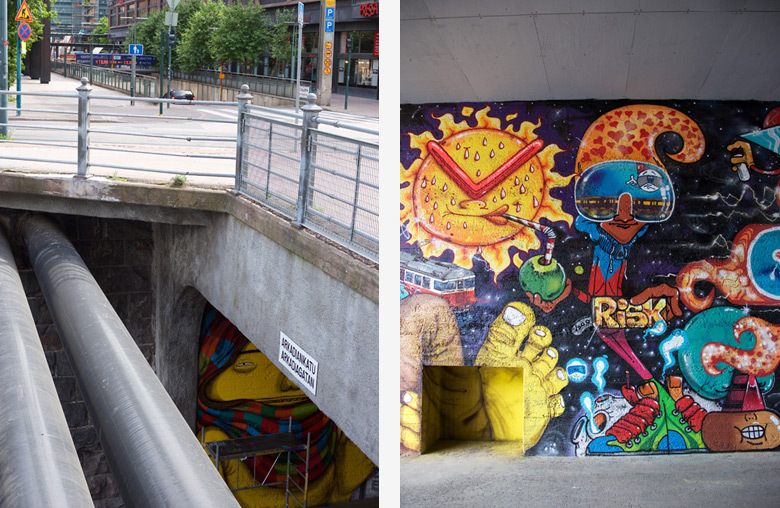 The main Helsinki graffiti rep brought the Pandolfo brothers to the Baana tunnel, a pedestrian and bicycle route located right in the center of the city. 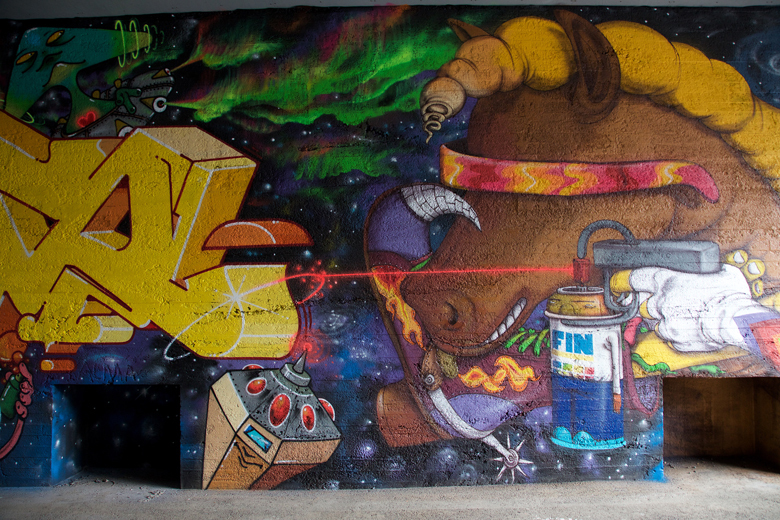 On the wall, an almost literal creative explosion occurred. 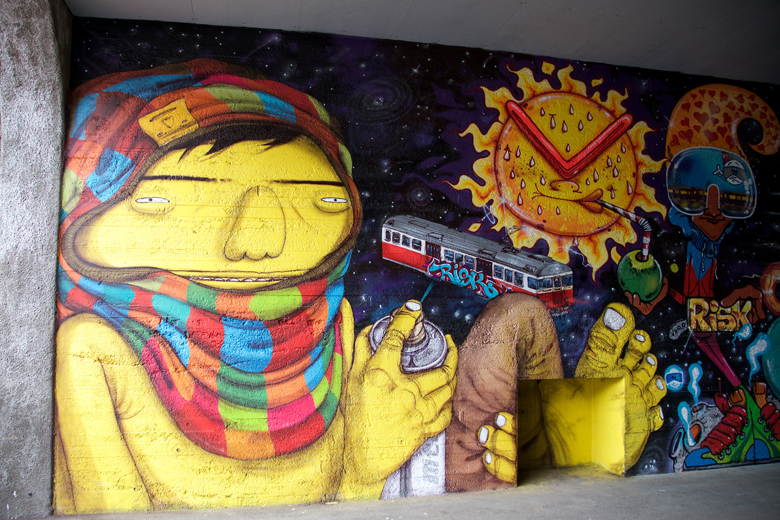 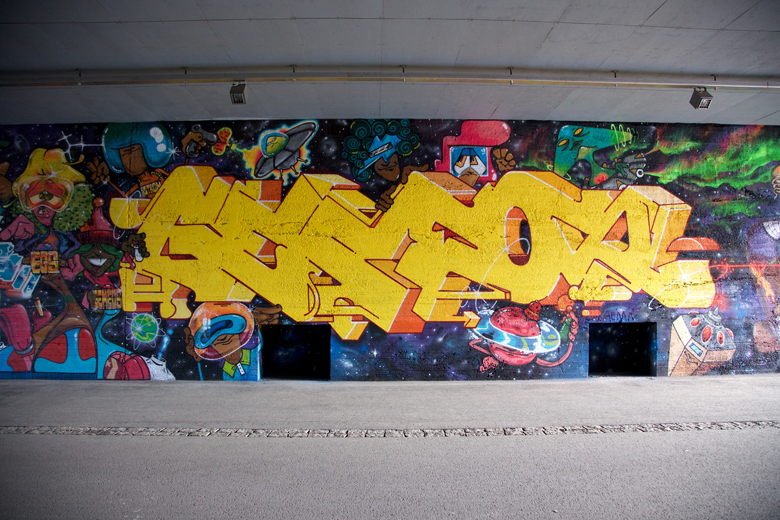 Os Gemeos utilized their artistic and graffiti potential to accompany the two pieces with an invasion of characters that represent their various aerosol styles. 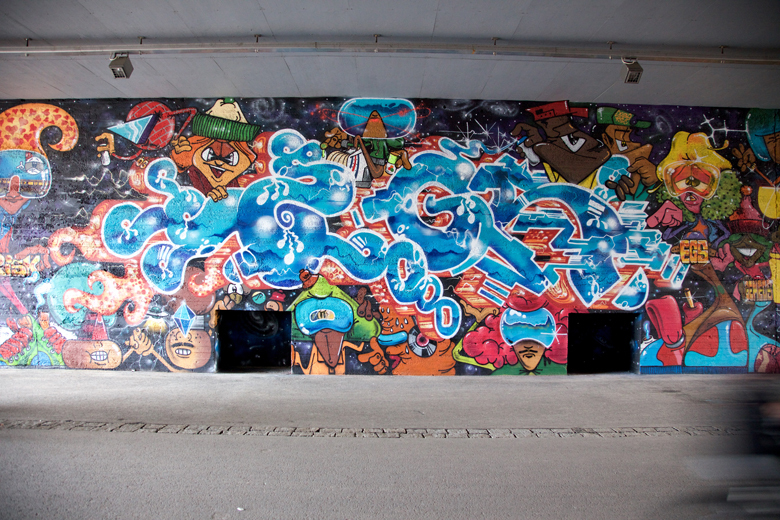 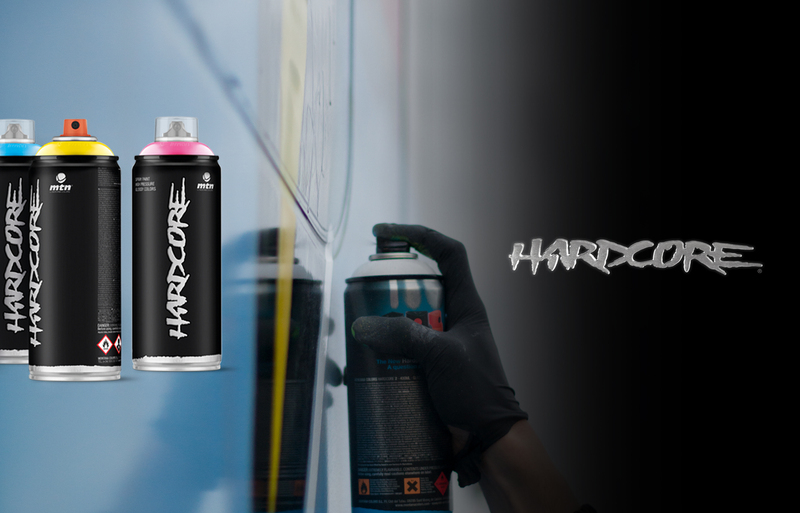 They couldn’t resist the chance to pay tribute to one of the finest Finnish graffiti writers who passed away last year. 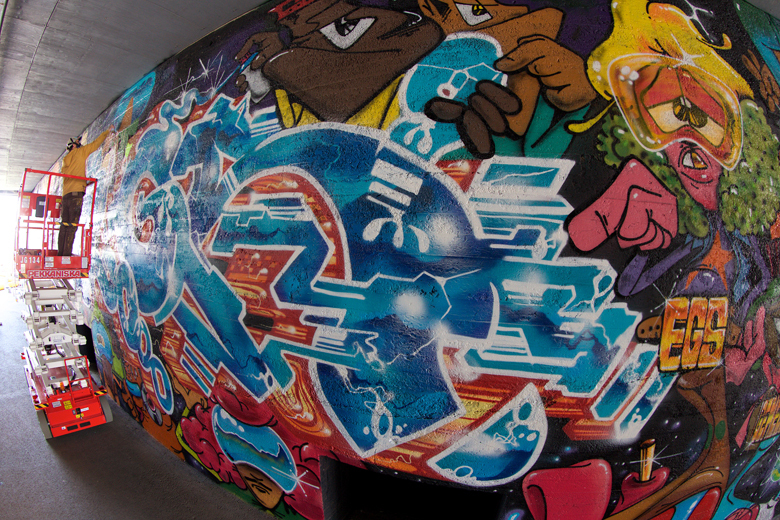 The legendary Risk. 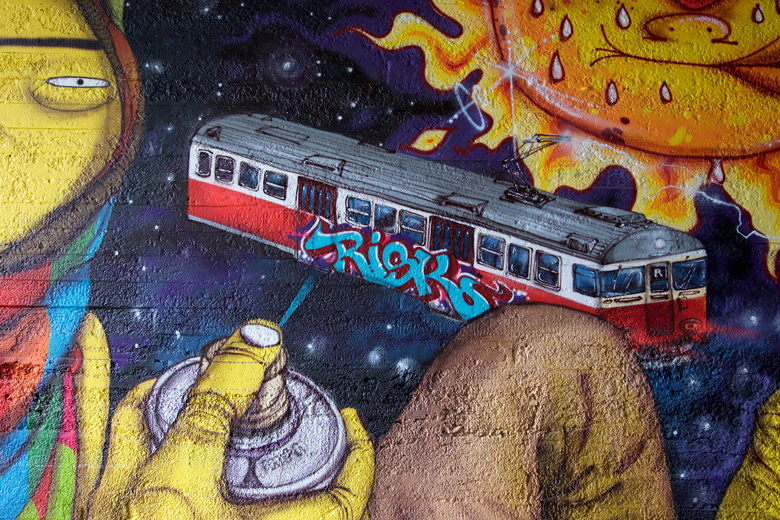 But in the end, it’s in the letters that true writers consolidate their encounter, and that’s why both Egs and Os Gemeos brought their best to the table in this masterful style communion, where the main goal might be the least visible. 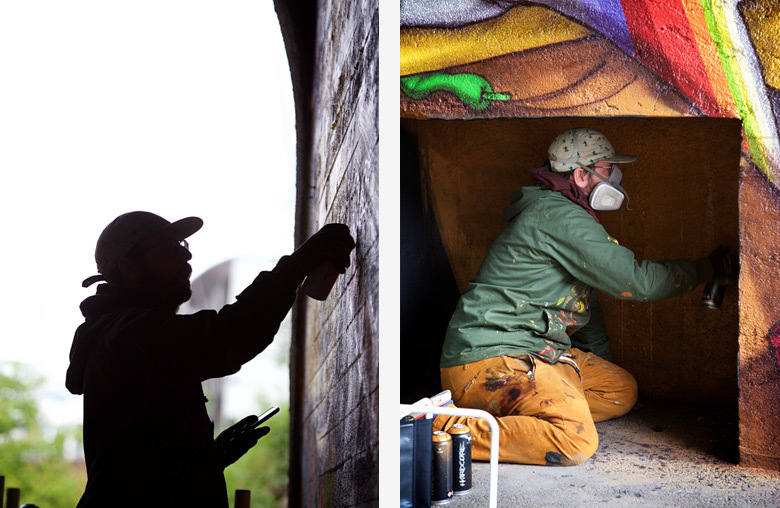 So, to finish off with the obvious, we leave you with these photographs courtesy of Supafly and Make Your Mark Gallery.